Duane Allman's playing was made famous by his signature slide sound with The Allman Brothers and Derek & The Dominoes. In this lesson, we are going to explore a lick in the style of this famous player utilizing our Open D tuning. Allman was known for playing in an Open E tuning, but for the sake of our lessons we are going to keep this lick in Open D. There is some quick movement and wide interval jumps in this lesson, so take your time and work through it slowly. 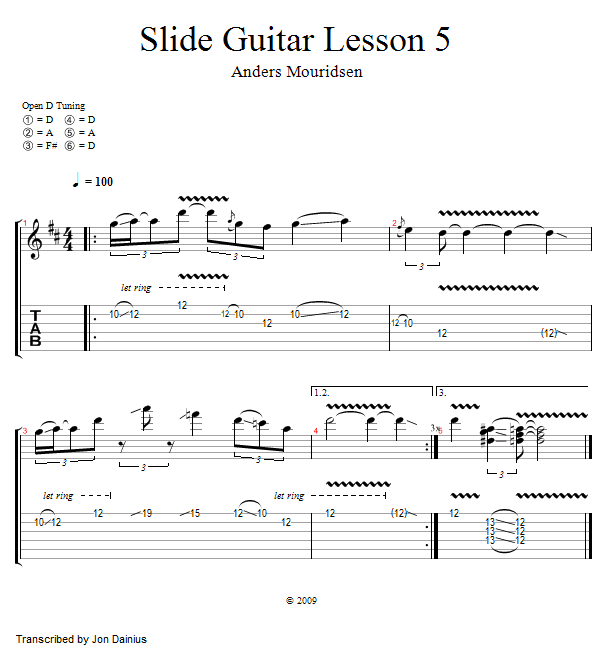 Once completed, you will really have a cool slide lick in your vocabulary. Let's check it out!